More often than not, we receive stories from people who write about their pets after the beloved companion has died. Although these stories are wonderful tributes, we wonder if the person might have written while their pet was still alive. Note: Leaf (dog), Sunshine (bird), and Speedy (cat) are featured in the images in the blog. The process of writing causes the writer to become aware and observant. It brings the past and future together in the present. 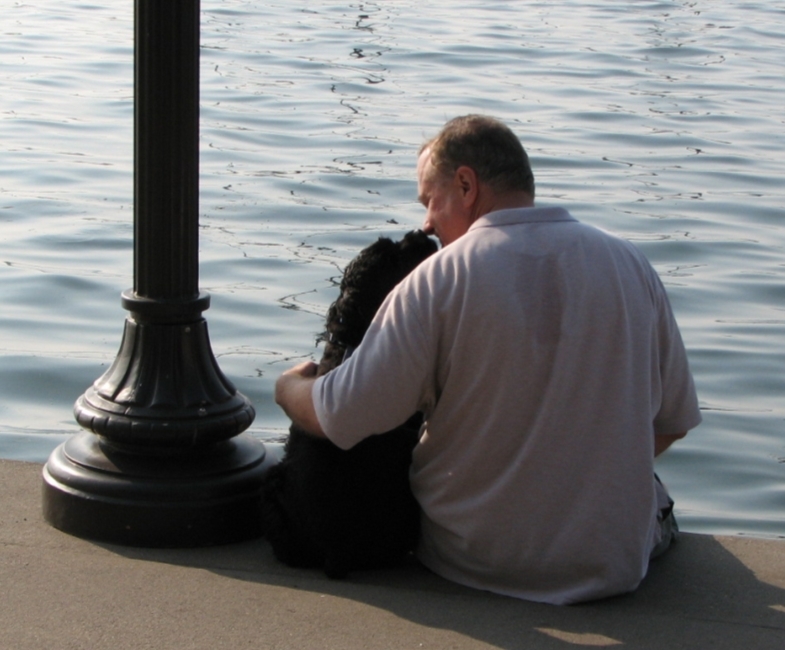 Although it has been cathartic for us, too, to write about pets who are no longer with us, there is something immensely satisfying when we take the time to be present to our pets right now. In the present moment we can express our gratitude for the joy they are bringing to our lives. When Allen wrote his New York Times bestselling memoir A Dog Named Leaf, it was emotionally fulfilling to be able to take a walk with Leaf, photograph him playing at his favorite dog park, and tuning in to who he is to us today. stories about them, while we can still pet and play together, replaces fears of loss with admiration and gratitude for the blessings. Let’s see what new and inspiring stories bubble to the surface as a result of living in the present and rejoicing in the blessings of now. Excerpted from New York Times bestselling book, A Dog Named Leaf by Allen Anderson with Linda Anderson, published by Lyons Press. All Rights Reserved. Reprinted with permission. Allen and Linda Anderson adopted a traumatized one-year-old cocker spaniel who had been abandoned. Soon, the troubled dog they named “Leaf” turned their home into a war zone. Although Leaf and Allen were forging a friendship with visits to dog parks and bonding time, Leaf’s emotional issues overwhelmed the couple. Shortly after Leaf’s arrival, Allen, who had spent eight years as a big city police officer and survived so many close calls that Linda called him “Miracle Man,” received a diagnosis from his doctor that made him think his luck had finally run out. Allen had an unruptured brain aneurysm that could be fatal, and the surgery to repair it might leave him debilitated. A few weeks after Allen’s brain surgery while he was still trying to recover, the following section of the story occurred. During my healing process Leaf became my channel for viewing and living in the strange post-surgery world where my body could no longer be trusted to do what was necessary. After I was cleared to drive again, I took Leaf to the dog park so both of us could relax. With my frontal lobe still not in total functioning mode, other drivers agitated me. I now understood how a person could be overtaken by road rage. To my embarrassment, I found myself yelling at drivers who lingered at stoplights. It irritated me that they crossed lanes too close in front of my car, chattered on their cell phones, or indulged in other poor driving habits. Ordinarily I wouldn’t have been fazed much and just made sure I got out of their way. In our car CD player, we keep a recording of around five thousand people chanting the love-filled mantra “HU.” For me, it is an incredibly soothing sound. The voices of all these chanters fluctuate and harmonize into a magnificent, unrehearsed symphony of high vibrational sound. When I’m driving I often push the button on the car stereo system and listen to the uplifting song waft through the speakers. With Leaf in the car, I doubly enjoy the chant, sensing that it also soothes and comforts him. at a bus that stopped frequently in front of my car, Leaf reached his paw over to the CD player. Out of six buttons on the stereo, he firmly pressed the one that allowed the HU CD to play. The timing, position of his paw, his selection of buttons, and the CD that happened to be in the stereo could have all been coincidental. I didn’t care. I needed it. Consciously or not, I knew Leaf was being God’s messenger for me. His act of compassion had its desired effect. I calmed down and let the chant heal my troubled, aching heart and mind. Gratitude welled up in me. My dog had figured out how to supply exactly what I needed to dissolve a passion of the mind I couldn’t control. I looked over at him. As if nothing had happened, as if he did this sort of thing every day, his attention returned to the traffic. His curious eyes darted back and forth as he watched cars whiz by. Who was this dog? If I couldn’t register an oncoming vehicle, would he lean over and steer the car out of the way for me too? Later that day I sat on the living room couch with Leaf in his usual spot. His body draped across my torso, and his head rested on my crossed leg. Although I’d grown over the months to appreciate him at deeper levels, at this moment I experienced an epiphany about our relationship. I looked at my little adopted dog and realized that we were both emotionally damaged goods. My lack of trust in people, fear of being dependent like my stroke-ridden father, discomfort when people expressed their emotions, and an overwhelming need for privacy all sprung from a childhood in which I never had enough strength to feel safe. Eight years of police work had confronted me with some of the worst humanity had to offer. With its random violence, it had reinforced my low opinion of anyone’s, including my own, trustworthiness. Leaf ‘s fear, mistrust, and mercurial emotions arose from losing everything he’d ever known and being left without any safety net but his own street smarts. Although he’d been the abandoned shelter dog we rescued, without a doubt he had more than returned the favor. I knew now that life had turned our relationship to its flip side. Leaf was rescuing and trying to heal me. 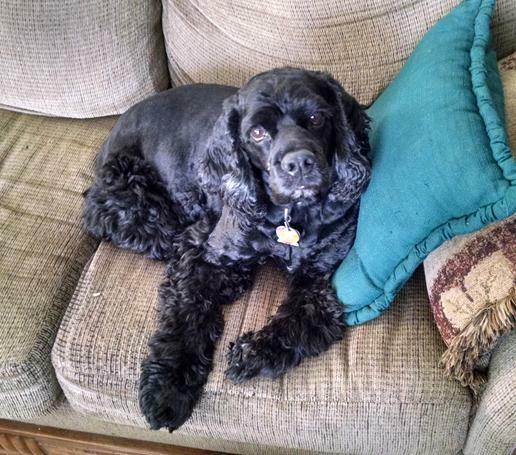 This little black cocker spaniel, abandoned and thrown out like someone’s trash, named Harley at the shelter after a motorcycle he detested, had become nothing less than a spiritual giant in my life. Visit <http://www.adognamedleaf.com&gt; for details about A DOG NAMED LEAF. What are the animals in your home learning from each other? The animals who live together in our house appear to be learning from each other. It’s a strange sight to behold. As dogs tend to do, our cocker spaniel Leaf runs to the door when we comes home and he wags his tail with friendly excitement. Now, so does our little cat Cuddles. She scampers along behind Leaf. Her tail swishes. Uncatlike as it may be, she expresses her happiness at seeing us. When he was about one year old, Leaf was abandoned at an animal shelter. We adopted him, and it’s been quite an adventure ever since. Even though he’s made his home with us for eight years now, he still has abandonment issues. We leave the room or he wakes up and doesn’t see us; he howls. We leave the house; he howls even louder. We adopted Cuddles as a kitten from the same animal shelter. She’s never gone through abandonment nor has she howled. But after years of watching and listening to Leaf, she’s added howling to her behavior. It’s her version of a howl which is more like a yell. But the other day, after Allen left the house, Linda was surprised to hear Cuddles mark his departure with a long, drawn-out meow. We had a symphony of howling and yelling for about 30 seconds. Early on after Leaf came home, he began watching Cuddles jump up on our bed at night to sleep with us. Guess who soon joined us on the bed? If she can do it; so can I! Has an animal tried to communicate his or her wishes to you? In the early morning Allen was sitting on the couch in a different place than normal, having his morning cup of coffee. Leaf walked up, sat in front of him, and stared. Allen asked our little cocker spaniel what he wanted. Leaf continued to stare at him. Allen had already given breakfast to Leaf but had forgotten to include a small apple slice that he usually gets for dessert. Still under Leaf’s watchful eye, Allen went to the kitchen and gave Leaf his customary apple slice. Allen returned to his morning waking-up ritual on the living room couch. Leaf sat down in front of Allen and resumed staring at him. Allen thought, “Maybe he needs to go outside for a bathroom break.” So he left his coffee cup, got up, and let Leaf outside. Nothing happened, though, and they immediately came back into the house. Once again, Allen sat on the couch only to have Leaf gaze into his eyes as if he was trying to tell him something. Finally, Allen stood up and attempted to figure out what Leaf wanted. The moment he stood, Leaf jumped onto the couch in the spot where Allen had sat. He curled up and made himself comfortable. At last, it occurred to Allen that he had been sitting on the spot where Leaf usually sprawled out on the couch. Every morning, Allen sat on the smaller couch while Leaf had his reserved spot, viewing the world outside the living room window. Who is in charge of keeping you in balance when your life fills up with too many to-do list items? Who tells you it is time to play? The truth of the matter is – we are working too hard and putting in too many hours on the next books. But we have barometers in our home who tell us that. They are named Leaf, Cuddles, and Sunshine. Leaf, our dog, brings his ball and drops it at our feed and tells us to throw it for him. 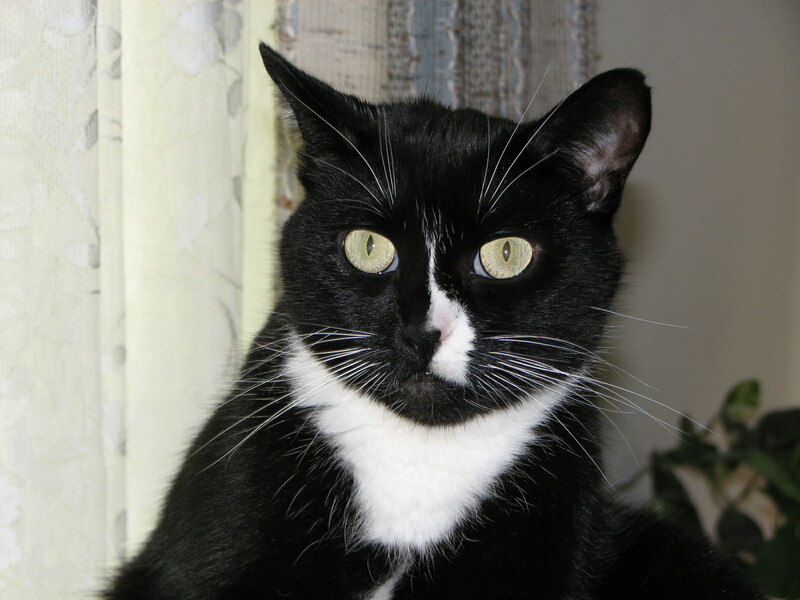 Cuddles, the little cat, vocalizes with a scolding tone of voice. Sunshine, the bird, screeches more than usual but also sings his song if one of us spends quality time with him. He is giving us positive reinforcement to play with him too. Everybody joins in the chorus to let us know that it is time to rest, time to take a break, time to play. How do you make special time for your pets? Feeding, cleaning, exercising, grooming, caring for, playing with pets can sometimes seem like a full-time job, especially in multiple-pet families. How do you find time for it all? If you’re like us, you have to multitask, even with your pets. Exercising includes walking combined with playtime and throwing the ball for our cocker spaniel Leaf. Annual vet appointments involve bringing both our cat Cuddles and Leaf to the veterinarian’s office at the same time. We found that sharing their distress with each other actually seems to help them cope better. Cuddles can scurry back into her carrying case and feel safe while Leaf is having his exam. But one thing that each of our pets requires and deserves is at least a few minutes everyday of our undivided attention. Cuddles tends to like her quiet time while sitting on Linda’s lap in the morning. Linda has to work around the cat in order to write in her journal and do a contemplation. 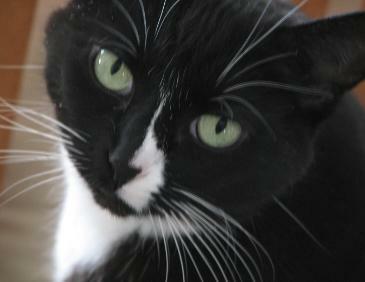 But the sound of Cuddles’s sweet purring adds a blissful dimension to the centered start of her day. Leaf’s special time comes at night when we take turns rubbing his belly, while he sprawls out on the bed. First, he carefully paws Allen’s side of the bed as if preparing a nesting place. Then while Linda pats his head, he answers her question — How was your day? — with grunts, groans, and other vocalizations. Leaf licks Allen’s cheeks for a while and then settles in the middle of the bed to sleep until Linda finishes reading and turns off the lights. Cuddles curls up next to Linda’s side. 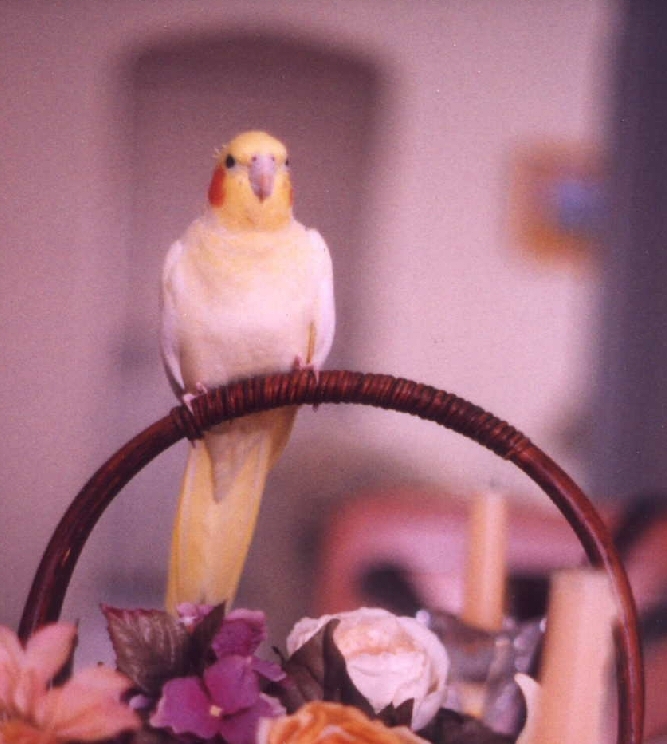 The bird is covered in his cage, sleeping on his perch behind a spray of millet. And everyone drifts into sleep and dream. What do you think about emotional-support animals? The National Service Animal Registry (NSAR) certifies service and emotional-support animals and has registered 7,000 of them since 1995. The NSAR certifies dogs, cats, pigs, birds, mice, rats, hedge hogs, iguanas, rabbits, and goats. These animals can then wear vests or patches and have ID cards to prove they are necessary to the people they serve. Mental health professionals can prescribe an animal’s companionship for patients to help them cope with emotional and psychological symptoms. But health departments can counteract the diagnosis with laws that restrict farm animals. Neighbors can and do report pet owners who they believe are keeping pets or traveling with them illegally. The article doesn’t mention a further complication – people who make up their own vests and badges in order to self-certify a pet. Sometimes, this is due to the fact that someone with a disability is on a long waiting list to receive a professionally trained service animal or can’t afford to pay for one. Someone wrote to us that she couldn’t bear to be without her dog and had “faked” a vest that allowed the dog to go everywhere with her. What do you think about emotional-support animals? Have you had an animal officially or informally who offered you so much emotional support that you had to have him or her with you everywhere? Nice to know that even in his dreams, Leaf continues to communicate in his unique ways.